Homecure will, upon completion of all works, provide you with a full written, no quibble guarantee. We offer a minimum 12 month guarantee on all new installations (including boiler and central heating installations). Our repairs and maintenance are covered with a minimum 3 month written guarantee. In certain cases, depending on the type of installation, guarantees can be upgraded to 2 years. On certain boilers we are able to offer incredible extended manufacturer guarantees which can provide cover for up to 7 years. 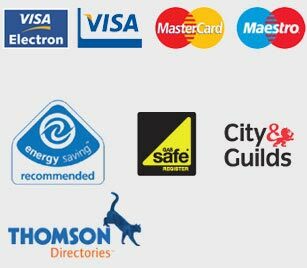 All third-party materials and products purchased by us, that go into your home, are covered by full manufacturers’ warranties. All work carried out by Homecure is backed by our own, separate, written guarantee of workmanship. In the rare event of any problem that arises from any installation or repair work we have carried out, and which occurs within the specified guarantee period, we will treat the incidence with priority status and an engineer will be despatched immediately (or at the customers earliest convenient time) to rectify the problem. Over 70% of our day to day work comes by way of repeat business and customer referrals. Our guarantee of excellent service and workmanship stems from our determination to preserve and further our hard earned reputation. At the company’s discretion, any problem or issue arising outside of the written guarantee period.